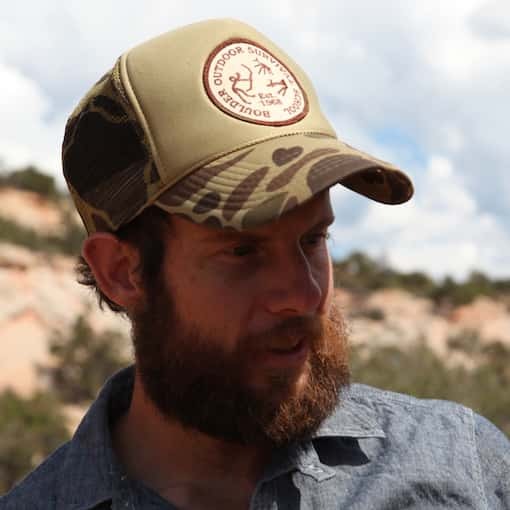 Jeremy Thomas is a wilderness skills instructor and knife maker who shares his time between Portland, Oregon and Boulder, Utah. From early on, Jeremy was keen to spend his time outside learning useful plants and wilderness skills to commune with the natural world, not simply observe as a visitor. His studies have taken him across the world, from the Australian Outback to the Amazon and everything in between. He has been teaching survival skills at the Boulder Outdoor Survival School and making knives for the better part of a decade. His love for working with his hands combined with his years of field experience led him to develop his own line of knives as SACHA Wilderness Living Tools.